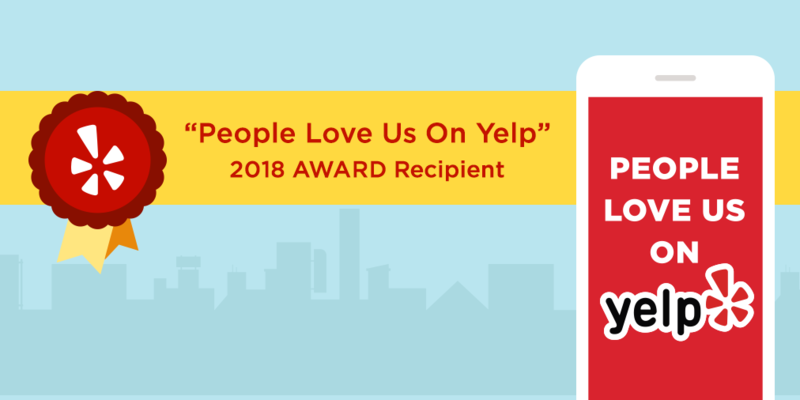 Client Testimonials & Yelp Reviews | LA Intelligence, Inc. I work for a multi-billion dollar Credit Union on the East Coast and work with private investigators on a daily basis. I have been trying to track down a very seasoned fraud artist who took my Credit Union for over $135,000 worth of vehicles and credit cards, over 3 years ago. Private Investigator Brian Matthews not only tracked him down but was able to locate the vehicle, a feat no private investigator who’s work the account in the past, has been able to do. He was also able to get him served for court and we are now in the process of getting our collateral back, over 3 years later. Brian is committed to excellence in his field and it shows in the way he goes about his business. It’s clearly evident, in the period I have worked with him, he’s dedicated to his job. He treated this account as if it were his own. He is easily accessible at all hours, keeps an open line of communication, and most importantly, he is results oriented. I couldn’t be more satisfied with Brian’s performance. I speak for my entire Credit Union when I say thank you for all you have done for us. I can’t thank Brian enough for all his help. He was very honest, sympathetic and professional. He found he information I needed quickly and discreetly. He was extremely responsive and knowledgeable on what needed to be done to solve the case. I highly recommend him in any matter. Simply the best! I hired the firm the last minute to serve a document on an emergency basis. Josh was very helpful a d patient considering the party would not accept the document and kept sending him away. Nevertheless he continued saving the document until he got the job done. He went out of his way to complete this task even after three attempts. I definitely recommend working with him. You get what you pay for- especially in this type of business. I normally don’t take the time to write these reviews, but they did such a great job that I was really pleased. 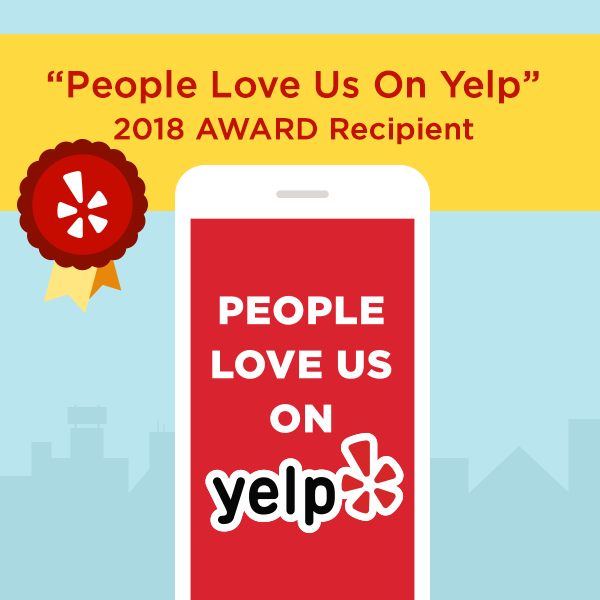 Overall, I give them 5 stars because the people at this office are smart, pleasant to work with, and they do what they say they are going to. I have been recently victimized and Even though it’s late at night I called and they picked up! Brian was patient to listen to my me and I feel confident that the there is a silver lining within all that has negatively effected me. I appreciate the time Brian took out to speak to me regarding my situation. Thank you. Brian called me back within 10 minutes, had the pre-employment report out to me in less than 24 hours, and then called to discuss it with me. Excellent service and well worth the cost. Very pleased, would use their services again, and recommend them based on this initial excellent experience. So the information I got from LA Intelligence/Brian all checked out… I’m still in shock mode that he could/did track down someone for me from 18yrs ago. All he got from me was a first and last name, last known city/state, and approx. age. After receiving the info from LA Intelligence/Brian I was able to reach out to long lost friend from 18yrs ago. In all honesty, I was skeptical but gave it a try… in under 20 minutes LA Intelligence emailed me the info with a phone number…yes your reading it right… a phone number. Turns out my long lost friend got rid of his facebook 5 years ago and didn’t have any other social media. Thanks again Brian at LA Intelligence for finding my friend from 18yrs ago. Brian and team are awesome. Professional, work late, actually respond to questions, and get results. For process serving, don’t go anywhere else. Extremely impressed! I have used Brian again, on a surveillance project. He did it the same night and got me some additional info, all at a very reasonable price because I was a return customer. Thanks, Brian. Brian went out of his way to make sure I got the evidence that I needed. It turned out to be a difficult job and I’m sure glad I had a pro out there who knows what he’s doing. I could have gone with a different guy and a cheaper price but I’m sure glad I didn’t. His reviews on Yelp are outstanding and he certainly lived up to his reputation. Thanks Brian! I had a complicated issue where I was a victim of car title fraud; basically, I bought a car with fraudulent VINS from a private seller and contacted Brian to see if he could help me track down the individual and receive restitution. Brian was able to do a simple search on the phone number and got a hit on exactly the guy I was looking for, which is great, because I did not have this guy’s real name (he gave me an alias). This has got me alot closer to finding some restitution in this case. Thanks Brian. LA Intelligence definitely lives up to its 5 star rating. I’m an attorney and needed a background check. I emailed the company this morning and Brian promptly got back to me. We then spoke by phone so I could give him further details. He was patient and easy to talk to about the situation. Once I sent him the additional information he needed to run the background check, he sent me the full report within the hour. Brian also had been conducting another search prior to mine and included an additional service for me at no extra charge. He is a stand up guy and I will definitely be using LA Intelligence again for any future background checks. Brian did an amazing job. He investigating the background of two individuals I was considering working with on a financial transaction. He was able to find that they were bad actors potentially saving me lots of headaches and financial loss. I would recommend his services. As I’ve written in my previous reviews, I have used LA Intelligence multiple times to help me gather information on an individual that I needed to have served. Since Brian only handles difficult serves, I initially used a regular process server to track down the individual with the information that Brian provided. It turned out, however, that the individual was evading service and the regular process server was unsuccessful in their multiple attempts to serve this individual, which spanned over many months. This resulted in me having to extend multiple times the court date in order to comply with the rules of service. Knowing at that point that a regular process server would not suffice, I once again turned to Brian. Within 48 hours of taking on this assignment, Brian cleverly figured out a way to get him served. The pics below show the result. If you need results, turn to Brian! He kept in constant communication throughout his surveillance and even tapped into additional resources at no extra expense since he was annoyed he didn’t get him that first night. My dog got loose & was stolen. A witness saw my sign after 3 days of searching & called me to let me know the info he had. I confronted the dognappers who owned a taco truck in north hollywood where they were seen taking her. they refused to admit they had my dog, they intended to keep her! I had no idea where these taco truck people lived, who they were or where they were keeping her or what they had done with her! I hired Detective Matthews & had my dog back in 2 days. He had access to information, surveillance methods & was able to personally retrieve my dog from the thieves himself. He was always available- even at 2am he was on the case doing surveillance! always updating me & working on a personal level of commitment to the case – being a dog lover himself! He gave me discounted rate and told me “i will get your dog back for you, dont worry”. I felt confident working with him. I recommended him to a friend with another case of stolen dog similiar to mine. Great service. I am an attorney and Brian handled everything regarding my complicated service and retrieval. He is worth 10 times what he charges. Extremely professional and would recommend to anyone. I called LA Intelligence expecting to leave a voicemail but I got a live person instead! In speaking with Brian he spent about 15 minutes on the phone with me explaining a variety of options and he was very professional! Brian and Richard went above and beyond by providing excellent advice and service. Richard reached out to me alto explain further details about the service requested and provided device accordingly. I am satisfied with the level of communication via email and phone calls. I will definitely hire this company in the future if needed. I must say Brian is the most professional and passionate investigator I have ever had the pleasure of working with. My encounter with him was a bit unique. I’m a TV producer (so L.A. I know) and was looking for a P.I. to help locate a long lost sister of one of my cast members. We featured him on our show to help assist in this, as it was a BIG story line. Brian was early to set, was attentive with our cast, and asked all the right questions. For us this was for TV ( at first), but for Brian it was VERY important to him that he located the sister and not just for the sake of our show. He became very invested in this and touched base with us constantly with any updates. Brian is not only honest with the expectations but was easy to get ahold. He treated this just as important as any of his other clients. As you would assume production scheduling gets tricky and Brian was able to accommodate. This guy definitely should be your go to guy for any P.I. work you need done. I was curious about my significant other’s background due to the lies and the secrecy. Richard was very helpful and thorough in his findings for me. He was able to give me the results that I was looking for. LA Intelligence is the most honest, helpful and reliable service around. I’ve been trying to find a family of Jewish decent and called Brian to see if he could help me in my situation. I have no name, birth date, so I’m pretty much out of luck. I knew this going into this phone call and found out that Brian knew the same after talking to him for about five minutes. He even warned me about other making promises that would intern to them taking my money and saying we tried and sorry we couldn’t help. This kind of honesty is what your look for in people and better yet people you have to go into business with. Thanks Brian. Brian at LA Intelligence is on my short list of 5-star service providers. He was responsive and knowledgeable, and gave me realistic expectations of what he would be able to do for my case and what he wouldn’t. He took almost an hour to review the data he’d collected and even looked up additional information while on the phone to try and help me as much as possible. Best of all, Brian is completely personable, and totally put me at ease about the process. Fast and effective results for my client. Will use again the in the future. Brian was very responsive to my emails and got the job done under a very short time window. The report he provided was clear and concise. Call or Email Us For a Free Consultation! they are on point 90% of the time!